The black and white check ribbon coordinates with the black door. Red apples adorn the wreath. Who makes the exterior door? 11. A black-and-white gingham ribbon subtly picks up on this grand entryway’s architecture. 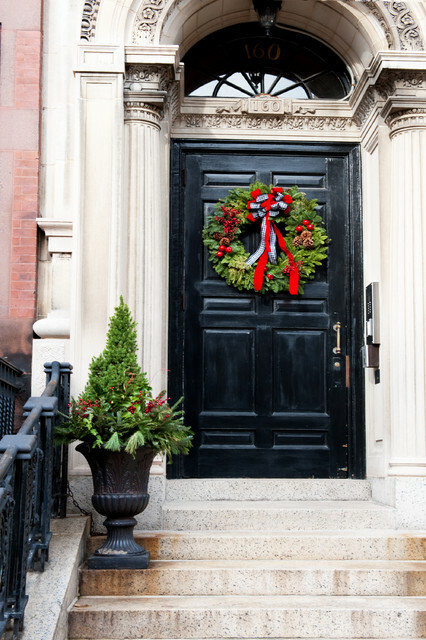 Love the wreath and color on the black door - classic.